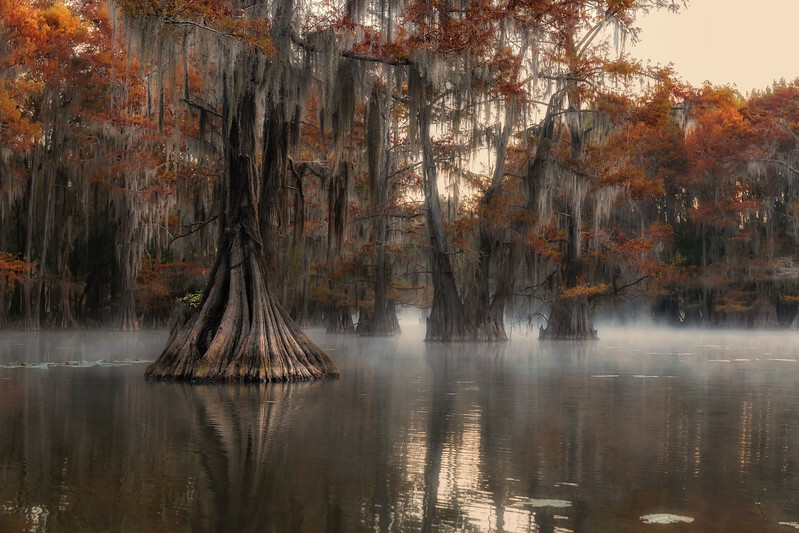 Bold Cypress and Tupelo Trees in the swamp. Atchafalaya River Basin. Lake Caddo, Martin and Fousse . Louisiana and Texas , USA.